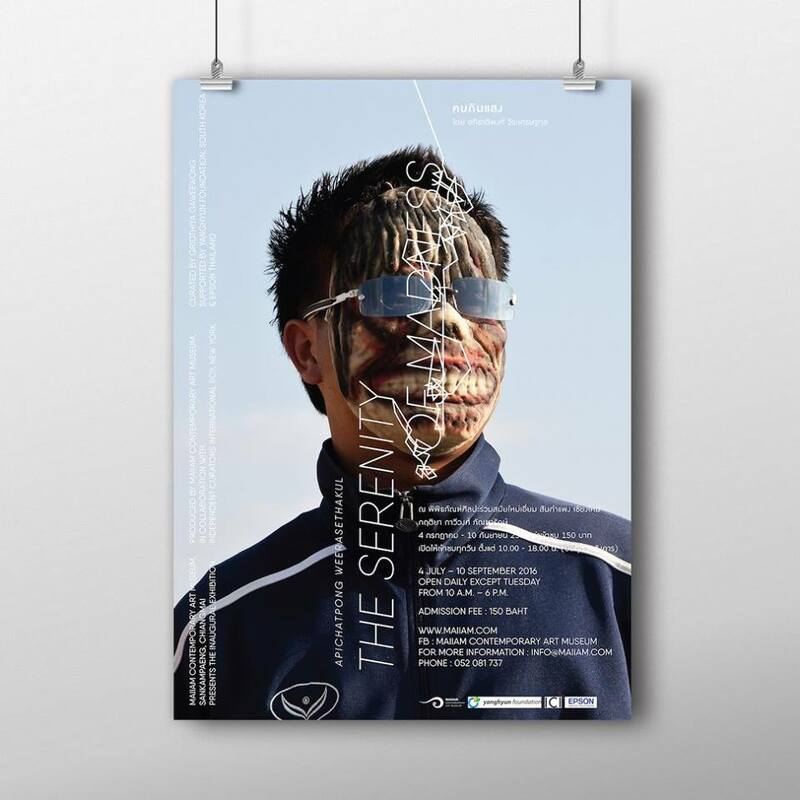 A poster exhibition by Apichatpong showing at MAIIAM Contemporary Art Museum is the first exhibition of MAIIAM. Mr. Apichatpong uses “Ghost Teen” to communicate his pieces of arts. We firstly list a title of the exhibition for him to choose, and it is the “The Serenity of Madness” that is picked. We then organize the elements and arrange the messages to represent “serene madness” to fulfill the artist’s aspiration.